Posted on December 3, 2018, in Uncategorized, WWII and tagged 1940's, History, Military, Navy, Pacific, Pacific War, submarines, veterans, war, WW2, WWII. Bookmark the permalink. 106 Comments. So the USSR were coming in on August 15, the very day that the Japs surrendered. For some strange reason we let them. When it comes to politics – I’m useless!! Happy New Year, Beari. Maybe 2019 will improve things. I can’t really complain about 2018, but there’s always room for improvement. I enjoyed watching the history of subs from Russia in the past. First time I was so intrigued about the Navy so much. Enjoyed this story and the photos. Should it be God’s will for me to pass away during my military svc, it would sure be a great honor to be among your post-ending listed names. You’re doing a wonderful thing for ’em all. A Merry Christmas to you. I sincerely hope there is no cause for you to appear in the Salutes. I love the important details shared from the writings. Submarine warfare is so interesting in that their strategies are so marginal and so elementallly destructive to sea life ,plus. Another interesting post GP. This one gets me to wonder much. Thanks for sharing. My pleasure. There are so many facets to this war, it’s difficult to know what will interest the readers. I see John has beaten me to it with more details of the midget subs. I don’t think I’d like to be in one, even a big one. Our neighbour told me about being trapped on the seabed in a sub in the Indian Ocean, it made me cringe just to hear the story. It would make me shutter to even think about that!! That is true. I start to feel claustrophobic as I read the accounts. Going way off topic here, GP, and I crave your indulgence – plus any assistance that you or your readers may be able to provide. Any suggestions will be received as gratefully as I’m sure the cards would be by those faraway warriors. I am curious though as to why unaddressed cards would be refused. I have one address handy and I’ll get back to you with more!! Thanks! I’ll pass these along. I still have feelers out, hoping to acquire more. I think you can take a breather now, GP. My friend found what she wanted with your earlier links. One of them linked to another page with a list of several groups that should be helpful. Again, from her and myself, many thanks. No, I thank you both – very much! I know you said to take a breather, but one of my contacts was so impressed, they sent this one and hope you will contact. I’ll pass it along. Thanks again, to you and your contact. Another very informative post! Thank you for mentioning Bush 41. It was my honor to include him. Being he was such a humble man who never felt anyone would go to his funeral, I put him in the Salutes along side his fellow servicemen. Thanks for dropping by. 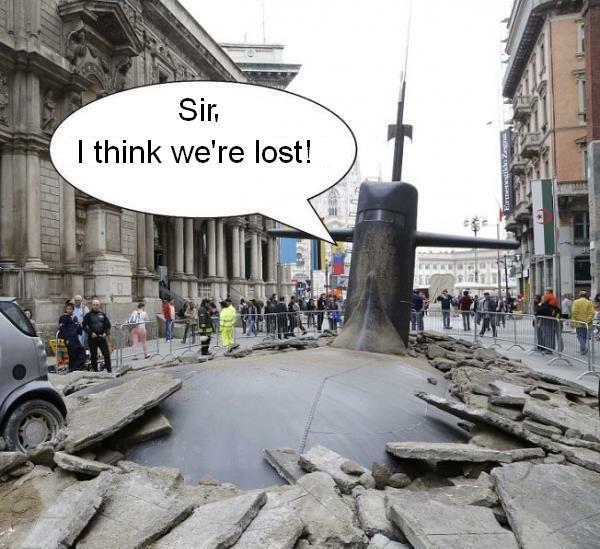 I think that “Sir…I think we’re lost” is a hoot!! Yikes! That ended with a bang. (No pun intended…. Okay… so, I sort of intended the pun.) I don’t remember learning about the mini subs. This was a fascinating post, GP. You know I liked it, since the real life Cornelis Drebbel invented the first navigable submarine in the 1600s! 😀 Hugs. I always get a smile out of your comments – thanks!! Like you, GP, I was surprised George H.W. Bush was a one term president. He was better qualified for the job than virtually any others in my lkifetime, and I especially appreciated his restraint after the coalition’s liberation of Kuwait. The temptation of take Baghdad and rid the world of Saddam surely passed through many minds at the time, yet he stopped where the UN mandate called for a stop. I think I’d have to experience just once to find out if I could stay down there. I’m leery to say I could. haha. As a kid going into Manhattan, I used to wonder if the tunnel was going to start to leak while driving through it. Great posting. Noticed 41 listed, nice call. Where do you get your info on the passings and for your blog summaries? Learned a lot from reading these entries. All my info comes from so many places it would be difficult to say, but books, magazines, on-line and newspapers. The Farewell Salutes are from various military branches, military website, from the readers themselves, etc. the list ends with – anywhere I can find them!! My personal library can be found here (minus 2 books I recently acquired), but I also use my public library. I would never have been suited for working in a submarine. These are great posts GP. Keep them coming! Thank you, Lavinia. I’ll sure keep trying! It is comforting to see Farewell Salutes include President Bush in the same font as for our other losses. First only, because the list is alphabetical. Consistent with his humble nature. I feel that was appropriate. It surprised me that he was only a one-term pres., a man with more qualifications, a resume that would knock your socks off and he lost to Clinton? What were people thinking?!! People weren’t thinking, rather, feeling charisma. So cheated themselves of governance by a truly good man. A nice way to phrase it. Doubly brave, I’ve only been on a sub once and in harbour, and that was more than enough, met some crew – take my hat off to anyone who brave a tin can under pressure, and be vulnerable inside and out. Exactly. It takes a different breed to not only volunteer for such service, but to also have the health to go in. 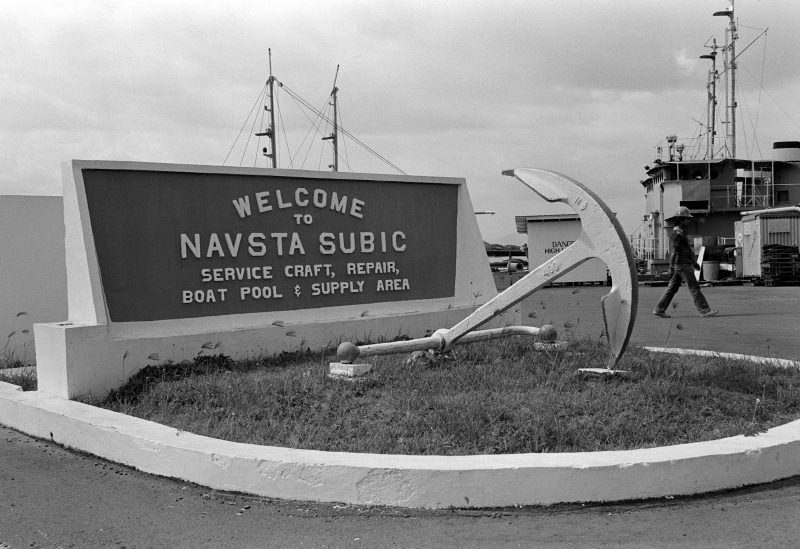 I knew one young man who joined the Navy for the sole purpose of sub duty. His first dive and the capillaries in his eyes burst. It did not affect his eyesight, but that was the end of his dream. I was very interested in the midget subs – I’d never seen these before. I think they had to be brave just to get into them, but then they had to fight? Yikes. I am claustrophobic so I’d rather be on a boat any day! I think you’ll enjoy it. It’s good to hear the stories from those that were there. 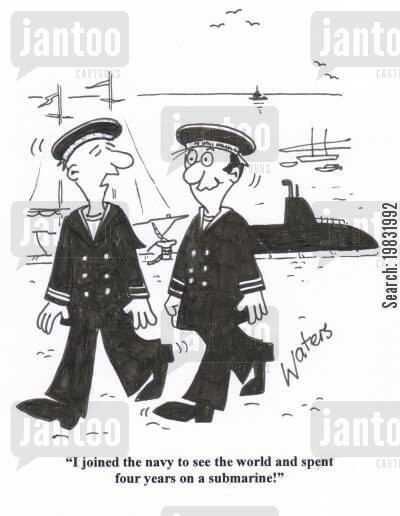 I got to see a midget submarine once, and all I could think was “Good grief.” I was caught by the reference to a ‘limpet.’ I’d only known limpets as sea creatures, but I learned that “A limpet mine is a type of naval mine attached to a target by magnets. It is so named because of its superficial similarity to the limpet, a type of sea snail that clings tightly to rocks or other hard surfaces.” Interesting! You have to wonder where they get the names for such things and then we find out it is all quite logical. It is interesting. Great post! I always love it when you feature the Navy stories. Keep up the great work. Thank you for helping to share this history, John! This reminds me to watch “Hunt for Red October” again. Good movie, wasn’t it?!! Then again, Sean Connery was in it – it HAD to be good!! Hmmm… In salutes; Bush was not a fighter pilot. He chose to fly Avenger torpedo bombers. This item doesn’t reflect his choice, but does tell of his being shot down and rescued by a sub. “On June 12, 1942, Bush turned 18 and graduated from Andover. After commencement, he left for Boston to be sworn into the Navy. Nearly one year later, Bush became an officer of the U.S. Naval Reserve and earned his wings as a naval aviator. Meacham speculates that Bush was likely the Navy’s youngest flying officer, just days shy of his 19th birthday. Thank you, I’ll correct it. My mistake for listening to the CBS newscaster! Timing is a part of an operation and for that many specifics have to be accumulated. Thank you for visiting, Michelle. Admiral Lockwood is buried alongside Admirals Chester Nimitz, Raymond Spruance and Richmond Kelly Turner and their wives in the Golden Gate National Cemetery, San Bruno, CA on the peninsula south of San Francisco. 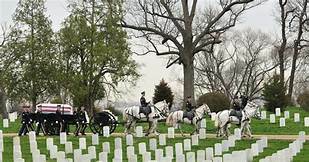 The four Admirals shunned burial at Arlington, specifying that they be buried among the ranks who served with them in the war and that they have the same grave markers as the ranks. Thank you for including that additional information. I knew I had something about the USS Pampanito…. A wonderful outcome of his “Hide and Seek” game. He must be a special kind of guy to be able to live underwater for so long. I went on a tour of a sub and it was so cramped even for a small person like me. I was claustrophobic. Many people realize that they are when they take a tour like you did. But I’ll bet you wouldn’t trade that experience, eh? I was hesitant to go in but found it very interesting. I also saw the Hunley, the first sub to sink an enemy ship. It disappeared after that but eventually was found a few years ago. They hauled it out of the sea and now being restored in Charleston. That is even smaller. You remember this quite clearly, so it did make an impression. There are so many great examples of self-less courage and bravery in American military history. But I must say that my utmost respect has to go out to anyone brave enough to volunteer to go to war in a midget submarine. That took guts! Plain and simple! I know what you’re saying. A large sub I might do alright, but not the midget. Thank you for commenting, Michael. 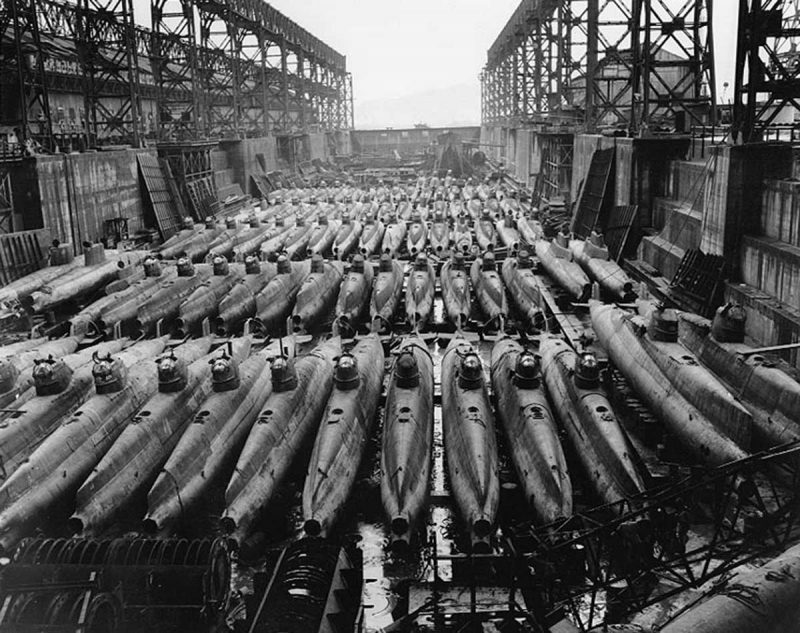 Our company has a number of engineers who were in the submarine service. Modern boats, but still a dangerous and vital mission. Most definitely. The loss of the Thresher still sticks with me. It makes me feel anything can happen at any time. I have never been claustrophobic, but then I’ve never been in a submarine. With even the thought of it, they would never put you in one. Thanks for dropping in! There is something really unnerving to me about being in a fighting ship under the sea. I think that took a certain kind of courage. One I doubt I could ever have mustered. Well done to those brave sailors, on all sides. That’s why it was volunteer duty. Not everyone can get down there and perform normally. Thank you for a very interesting account. The midget submarines were really midget and just plain scary as regards size. A Victoria Cross was won in one of them. 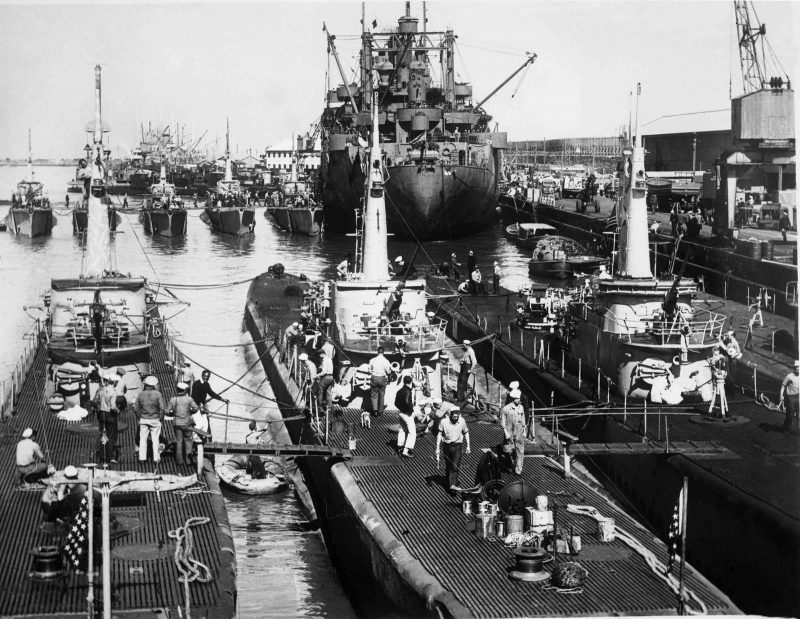 The account here is quite scary too, especially when the submarine gets jammed under the Japanese cruiser as the tide falls. That is a sure story of bravery! “I’ll be alright after I get my wind back.” Thank you, John. Thanks for sharing some of what these boats accomplished for us!